American librarian and educator, inventor of the Dewey Decimal System of library classification. 1885 Decimal classification and relative index for arranging, cataloguing, and indexing public and private libraries and for pamphlets, clippings, notes, scrap books, index rerums, etc. Boston, Library bureau. 1886 Librarianship as a profession for college-bred women. An address delivered before the Association of collegiate alumnæ, on March 13, 1886, by Melvil Dewey. Boston, Library bureau. 1887 Library notes: improved methods and labor-savers for librarians, readers and writers. Boston : Library bureau. 1895 Abridged decimal classification and relative index for libraries. Boston, Library bureau. 1898 Simplified library school rules. Boston, London [etc.] Library bureau. 1889 Libraries as related to the educational work of the state. Albany. 1894 Library school rules: 1. Card catalog rules; 2. Accession book rules; 3. 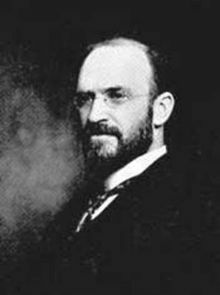 Shelf list rules, by Melvil Dewey. 1904 A.L.A. catalog. Washington, Government Printing Office.